Gil J. Stein, Michael T. Fisher, Abdul Hafiz Latify, Najibullah Popal, and Nancy Hatch Dupree, eds. 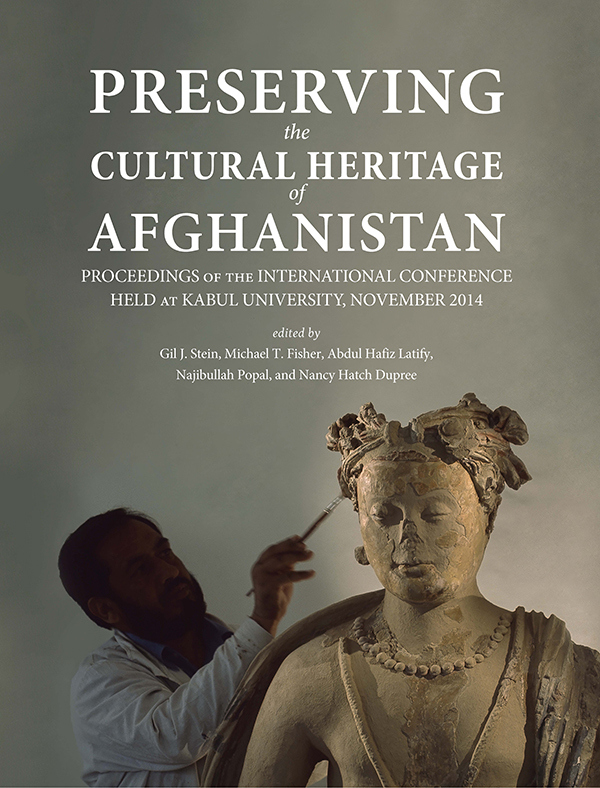 The University of Chicago, the US Embassy Kabul, the Afghanistan Centre at Kabul University, and the Afghan Ministry of Information and Culture organized an international conference focused on “Preserving the Cultural Heritage of Afghanistan” (PCHA), held in Kabul from November 9 to 11, 2014. This volume comprises the revised and edited papers and summaries of the panel discussions held at the conference. We are pleased to present the conference proceedings in bilingual format — Dari and English — for maximum accessibility by international readers. Afghanistan has been called the “crossroads of Asia,” but perhaps this title is an over-simplification. Relegating Afghan's landscape to a thoroughfare fails to capture Afghanistan’s pivotal, active role in the emergence of new cultural forms and dynamics of interaction with its neighbors in Central Asia, Iran, South Asia, and China.